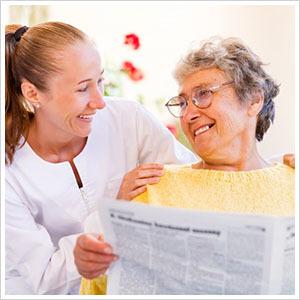 Flexible and affordable senior care. Whether you need in-home care services for a few hours each day or on a live-in basis, Charmed Life Homecare has you covered. We offer flexible terms and there are no contracts required. We are quite affordable and can work within most budgets. If you or a family member can benefit from non-medical home care, we can refer a qualified, compassionate caregiver to help with daily activities and day to day life. This can make all the difference in feeling independent. Private Pay: Many of our clients pay us directly using a credit card or personal check. If you use a credit card for your method of payment, we take the necessary steps to encrypt your personal credit card information for your protection so you can feel confident that your information is secure with us. Long Term Care Insurance: We accept most long term care insurances and can even help you out with the paperwork so that you don’t have to deal directly with the benefit provider. Depending on your insurance coverage, you may not be covered for the entire cost, but if you should have any questions, we are here to assist. Contact us so we can help you sort through the paperwork that your insurance company requires of you. We are always happy to help you. Please note: As a licensed nurse registry, we’re also able to refer licensed practical nurses and registered nurses at an additional cost per your request. If this is a need for you or a loved one, please let us know so we can help get the process started. *We do not work with Medicare or Medicaid.